As the Director of Finance of Connected Logistics, Ms. Terrell brings 16 years of experience in commercial and government accounting practices. 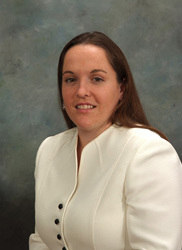 Ms. Terrell has established internal control processes and procedures that ensure Connected Logistics is compliant with generally accepted accounting principles, government cost accounting standards (CAS) and has enabled Connected Logistics to achieve a DCAA award-ready opinion. Additionally, she has a strong command in the use of Deltek GCS Premier, Deltek Time and Expense, and QuickBooks. Ms. Terrell also serves as a Major in the Alabama Army National Guard. She graduated from Ordnance OBC with honors.